For a more classic style of vodka, Jonathan Goldstein, vice president of New York's Park Avenue Liquor Shop, likes the 80-proof Jewel of Russia Ultra limited edition ($55). 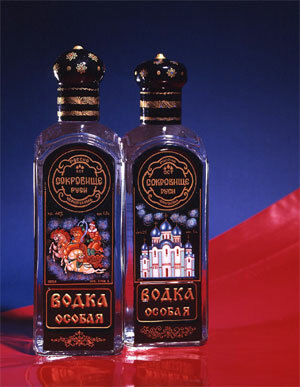 Made from a mixture of hard winter wheat grain and rye, the vodka comes in a bottle hand-painted by a Russian folk artist. But shop early: Each special-edition run is limited to 20,000 bottles per year.